Hi Everyone!!! Hope everyone is having a great day. I've been snowed in today. We still have lots of snow coming down and more to come. I wanted something different to make and I looked at the Hello Kitty Cricut Cartridge and saw this cherry and just had to do something with it. 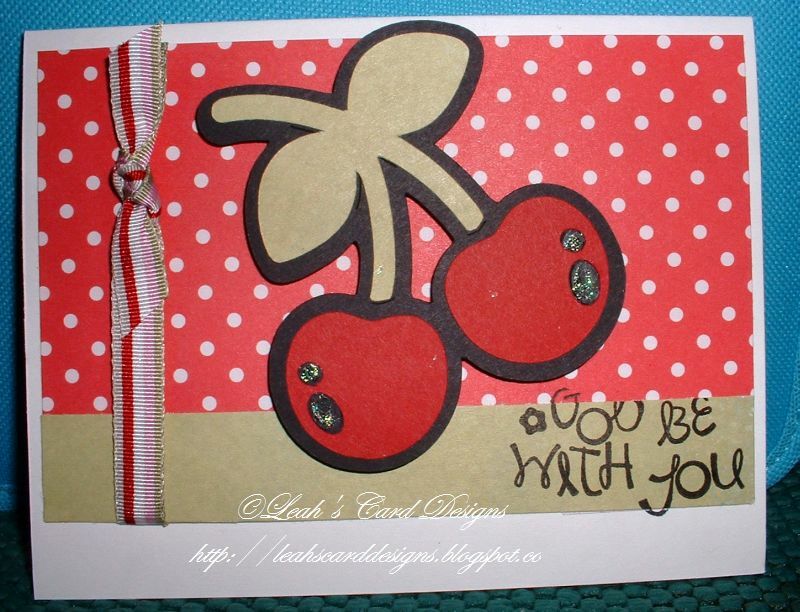 I will be making a few other cards with the cherry. I like the way this turned out. Thanks for taking a look. Have fun!!! !